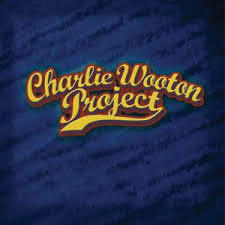 The name Charlie Wooton, seems familiar yes he is the bass player for Royal Southern Brotherhood. This is his own project that has a completely different feel and sound. This is an album that mixes it up from one track to the next so around the musical corner is a different beat, tone or rhythm; the common element though is the gigantic bass sound produced by Charlie with a definite funky edge. The music has a freshness it is as if it is being played for the first time; every note and phrase is played with a natural freedom so the music flows through your veins. The opening track Snake Women, sets the tone of the album as the music draws you in and the beat intoxicates with just the right funky influence. We have on the album a real mix of styles and approaches including reggae that has definitely been shaken not stirred on Unexpected Kisses with a summer in the Caribbean feel with the opening bass-lines this is a sunny feel good song. R&B on Day Dreamin’ and a funky beat that fuses jazz and blues on Higher Than Low and it is no surprise that throughout it is the bass that drives, with that unpredictability Charlie brings to the party while others add the layers to the sound with jazzy sometimes haunting Sax, Electric guitar, drums and vocals but it all loops back to the sound Charlie gets out of his Bass Guitar. This layering of sound from the array of instruments is demonstrated on Orangutan a predominately instrumental number. This is an album that surprises, delights and makes you feel part of a fascinating freeform project, let the bass with attitude and funk that is Charlie Wooton rule as he confidently and skillfully strides across the genres and musical cultures and blends and distills through the band and his bass guitar.